Back to Blog Listings / Does Retail WiFi Tracking Really Work? Retail WiFi tracking is used by businesses to help them understand their customers and gain an in-depth knowledge of buying habits, in-store behaviour and more. It can also provide in-store real-time updates with discounts and offers for shoppers to take advantage of. But, does it actually work? Here's everything you need to know about retail WiFi tracking, how it works, benefits and drawbacks and whether it’s actually beneficial for businesses to take advantage of this system. What is Retail WiFi Tracking? Retail WiFi tracking is a tool that derives from WiFi marketing. Shoppers have access to the internet via WiFi when in store, so that they can access any promotional messaging or take advantage of any discounts or offers that may be on at that time. This creates a multi-channel experience for all shoppers and enhances their time in-store. Not only is WiFi beneficial for the customer, but businesses also benefit from customers logging on to the system. For customers to access the WiFi, they usually have to provide an email address which businesses will then be able to contact you with their marketing materials and direct mail campaigns (unless you opt out in accordance to GDPR regulations, of course). By being connected to the WiFi, businesses can access information that they wouldn’t otherwise have access to. For example, businesses can see how shoppers are behaving in their stores, identify buying trends, access heat maps which show the more popular areas of the store and more. By accessing this information, it allows businesses to make smarter decisions. Retail tracking has many ways of operating through different mediums (apps, sites, in-store technology etc.). These mediums engage with the customer and enhance their shopping experience. A lot of the mediums are reliant on WiFi. WiFi technology has gotten smarter over the years and offers different levels of data analysis. From understanding the behaviours of people with WiFi enabled devices to gathering visitor data from registered users, WiFi is a rich data source. With WiFi authentication, the business is gaining contact details for each customer who signs into their free WiFi. In addition, if your WiFi has the single authentication feature, your customers only need to sign in once. If they return, the platform will automatically recognise their device. This allows businesses to track which users are new and which are returning. If there is no authentication, you will still be able to see intelligence on the devices in the area, how they move around the venue and where they dwell. Good WiFi networks with advanced analytics capability can also provide heatmaps of devices for both authenticated and non-authenticated devices.. Although anonymous, it can still help businesses see dwell times, when the greatest footfall times are and where the most popular areas in the retail centre are. Better knowledge of your audience. 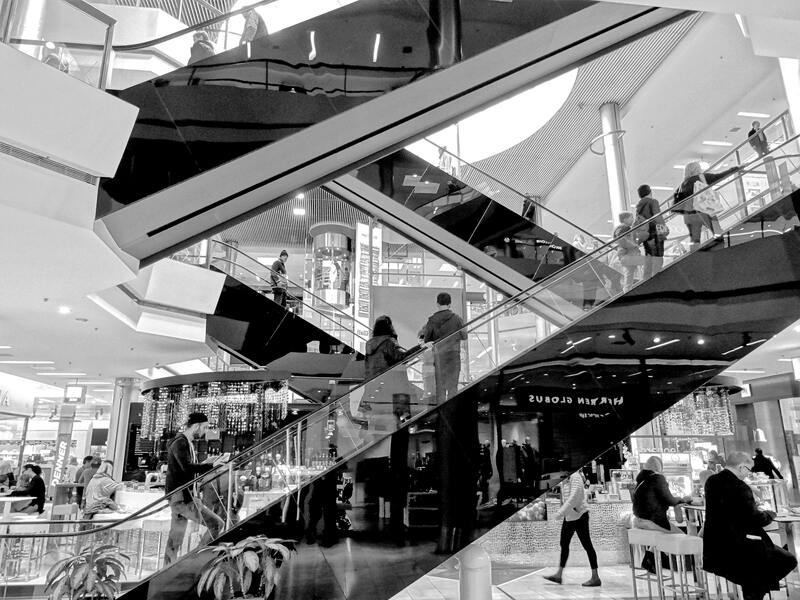 Seeing customer behaviour, buying trends and footfall analytics allows businesses to optimise their stores in ways that they feel will enhance sales. Increased revenue. WiFi can allow you to send push notifications to shoppers to prompt them towards a sale. This could be reminding them about items they’ve previously looked at online or earlier in-store. Knowing footfall and dwell times also allows the retail centre to sell advertising space, particularly in areas of the centre where shoppers are most likely to congregate. Costs. Some businesses may not prioritise the optimisation of their store, so access to analytics figures might not be deemed as essential knowledge to them. Therefore, retail WiFi can seem like an empty cost for them. If they don’t utilise the data and analytics then they may not see WiFi as delivering a compelling return from their investment. Too much data? WiFi tracking can deliver a lot of very insightful and valuable data, but if your organisation doesn't have people responsible for analysing the data then it may seem overwhelming and not be utilised to its full potential. On the whole, we believe that the benefits of retail WiFi tracking completely outweigh the drawbacks and can enhance your business so that it’s more efficient and successful. With 71 percent of shoppers using the internet to help them make purchases, it's clear that using WiFi and associated services in-store definitely aids business success. WiFi tracking is proven to work and has a positive impact on shoppers. Another study found that 60 percent of retail shoppers are influenced and want to receive real-time promotional offers during their time in-store. So, by tracking what products customers may have looked at when they’re shopping, as a business, you can take advantage from prompting them to buy it when they’re on the way to the checkout. By improving your communication and introducing WiFi with powerful analytical capability, you can start to gain a better understanding of your typical customer. This will allow you to start operating your business in a more efficient and profitable manner. Retail WiFi tracking is just one of the many ways that WiFi can help your business make more informed, smarter decisions. WiFi SPARK is here to help you with all of your retail WiFi needs. We provide analytics like no other which will encourage repeat purchases, upselling and so much more. To see the full range of what we can offer and how WiFi can improve your customer engagement, download our free guide below.